The hyena, far from depending on scavenging, is an apex predator. 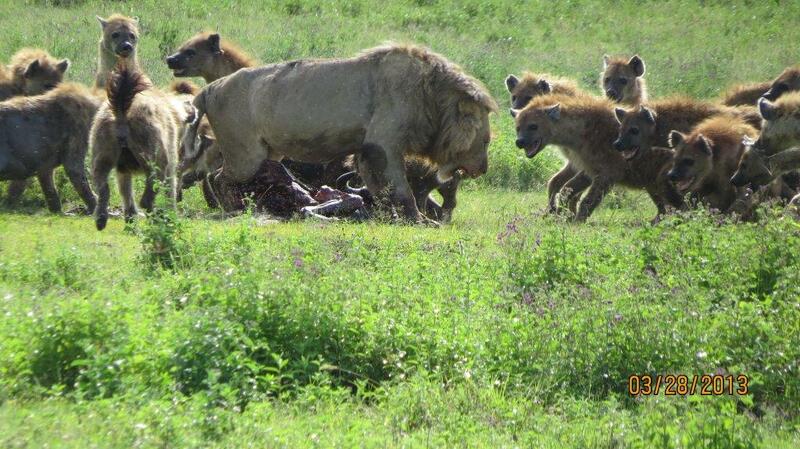 This regularly brings them into the kind of conflict with lions shown in the photo. 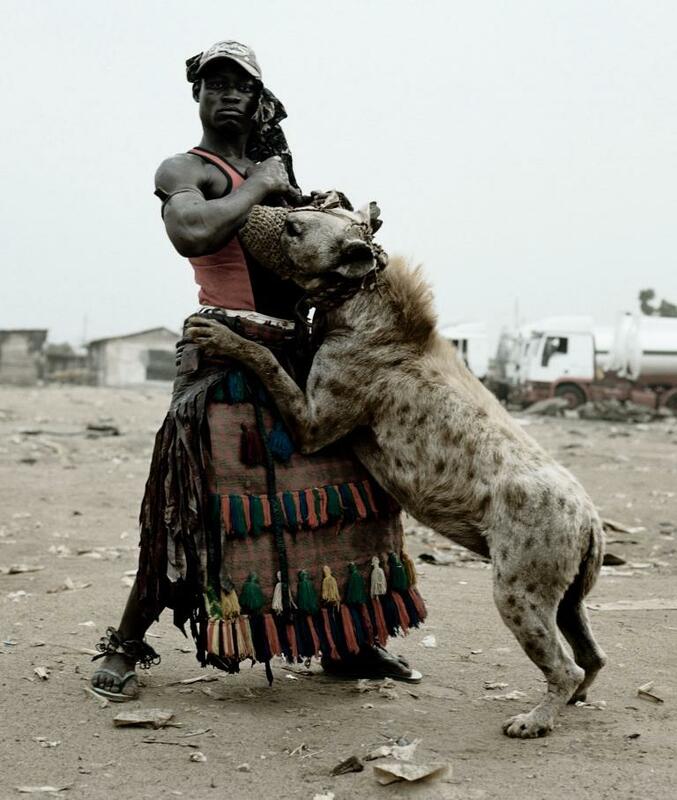 Hyena clans maintain a strict social hierarchy across generations. Researchers have observed pups of high ranking animals bully the pups of lower ranking members into submission early in their lives. And where a low-ranking pup is strong enough to get the upper hand, the older members of the clan savage them into submission. The significance of the study is obvious. We see the same thing happening in our society. However we are different from hyena. Each of us has unique gifts, skills and abilities. We are capable of dreams, intentions and creative action. Each one of us has an exclusive, individual purpose, a work prepared for us. And the sum total of these drives go way beyond the hierarchy in which you grew up. If you grasp them. If you find your voice. This is the compelling truth behind the romance of The Knight’s Tale, the movie starring the late Heath Ledger. Sadly, many of us have learnt to hide our real self away. We have lost our voice. Instead we present a fictional persona. A mask. We created these masks to cope with particular circumstances in our lives, for some people, dire circumstances. The masks protected us. And often we have lost connection with the real person we are protecting. But do we have to be governed by our past? Maintaining these false identities is exhausting and robs us of a wealth of fulfilment. When we put our uniquely creative and appreciative selves forward we have a chance to do something wonderful. Surfacing, honouring and projecting our unique self is always an act of courage. What is your extraordinary offer? To find your voice delivers massive reward. In business the search is on for special people who know themselves and are filled with a sense of fulfilment in their chosen line of work. As Jim Collins points out, “motivating people is a complete waste of time”. It is far more beneficial to employ motivated people. I like this thinking. However, we face a danger here. We must be careful not to allow someone else to determine our value. What happens when we allow an external group to decide the value of our voice and the topics we choose? What happens is that we merely transfer the subject of our subjugation. So what are you engaged in? What action are you taking to find your voice? It is an act of freedom to grapple with these questions of identity and what matters. The dialogue is the act. Exercising your voice to steer the dialogue towards the topics you feel are important is an act of freedom. And this may take courage. You may not resolve the questions. The big questions don’t have pat answers. The resolution does not lie in the answers. The resolution lies in your understanding of the question. 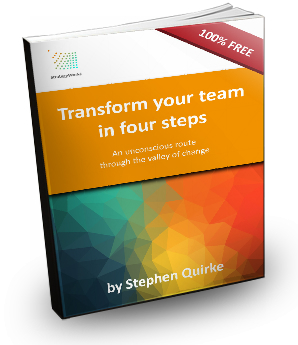 Resolution lies in the point at which you and your group out-grow the question. The illustration (apt don’t you think?) comes from Pieter Hugo, South African photographer in Africa. Hi Margie – thanks for the note – this piece goes well with the other part of the newsletter I want to send out, the part about strategy maps. Bold strategies can only be executed by bold people.